We perform heating, air conditioning & refrigeration repair, maintenance, design, installation and heating plumbing for both residential and commercial customers throughout Connecticut and surrounding states for commercial accounts. Commercial/ Industrial: All of Connecticut, Southern Massachusetts and for chain store/subcontractor with multiple locations we will service all of New England and New York. Our service area is expanding throughout Connecticut. At this time, we provide residential design and installations and commercial service, maintenance, repair, design, and installation in all parts of Connecticut. Our office is open weekdays from 7 a.m. until 5 p.m.
Our Services are open 24/7 - 365 Days a Year with a Live Operator and Technician waiting for your call. Do you schedule installation or maintenance work on weekends? 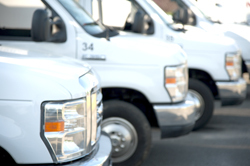 We only offer emergency service after hours and on weekends, and the after-hours, emergency service rates are higher. If you have an emergency after hours, call 203-269-1600 and ask the service to page the “on-call” technician. We accept cash, checks, Visa, Master Card, American Express and Discover. We offer financing through a third party for new equipment installation work. Rates and terms vary, so please call or click here to email. We are closed the following holidays: New Year’s Day, Memorial Day, 4th of July holiday, Labor Day, Thanksgiving Day, and Christmas Day. If Christmas or New Year's falls on a weekend, the federal holiday will be observed. Our Services are open 24/7 365 Days a Year with a Live Operator and Technician waiting for your call including holidays. Do you have emergency service after hours? After normal business hours, on weekends and holidays, our phones are answered by an answering service. We have technicians “on call” after hours. Should an emergency arise after normal business hours, you can call the regular phone number (203-269-1600) (listen for the emergency service prompt in our phone menu) and ask the answering service to page the on-call technician for emergency service. The technician or plumber on call will return your call within an hour. After normal business hours, the residential diagnostic charge and the fees are higher. Call 203-269-1600 or click here. If my heating or air conditioning system breaks down, how much will it cost to fix it? For most commercial industrial locations heating and air conditioning service calls we charge an hourly rate "portal to portal" - please call for more information on rates etc. We use up-front pricing--where each repair is priced specifically in our price book. After the diagnosis, the technician will quote the repair price for your authorization before the work is performed. We do not charge on a time-and-materials basis for residential locations, so you will know exactly what you will pay, even if it takes longer than expected to fix the problem. *After normal business hours, the fees are higher, and the residential diagnostic charge is $168. Call 203-269-1600 or click here. For service calls please call for description of services. If you are looking to have a new system installed, replacement equipment, upgrade equipment, maintenance etc. we do offer free estimates and would be glad to come out to view the project you are looking to complete, please call for scheduling and more information. Yes, we charge "portal-to-portal" using GPS tracking devices installed in all of our vehicles. In the case of Diagnostic Fee travel is includes for Residential. When do you charge for overtime? We charge "Overtime" for all time before or after our normal business hours which is Monday-Friday 8:00am to 5:00pm. My landlord or condominium association requires proof that I had maintenance. Can you give me that? We can perform a thorough inspection that will satisfy the requirements of your condominium unit owners’ association. We can use our “Certificate of Inspection” checklist or we can use one provided by your condominium. Call 203-269-1600 or click here. If my system breaks down, should I repair it or replace it? Deciding to replace a major component on an older system can be a gamble because there is no guarantee that something else won’t break next week. The risk is even greater when you’re facing a costly repair to system that is over eight years old, one that is in poor condition, or one that has not had regular maintenance service. Be sure to consider factors such as the age of the system, how long you plan to stay in the home, your current level of comfort, and the potential savings in energy costs. If you determine that your appliance is near or at the end of its useful life, you may decide to invest the repair cost towards a new system. For newer systems that have received regular maintenance, repair might be the better choice. Work with one of our technicians or comfort and installation consultants, and he will be happy to give you the technical information you need to help you make a well-informed decision. Call 203-269-1600 or click here. How often do I change the filter? Keeping your filters clean is one of the most important and inexpensive ways homeowners can both increase the performance and help prolong the life of their comfort systems. Dirty air filters can reduce the amount of airflow through your system, making your system work harder. Homeowners should avoid running their comfort systems without filters. Filters improve indoor air quality, while preventing the accumulation of dust and dirt on the working parts of your furnace or air handler. Accumulated dirt can drastically reduce your system’s efficiency and performance, and it is frequently the cause of system breakdowns. You should change your filters whenever they are dirty. For an easy rule of thumb, the Department of Energy recommends replacing regular air filters in your furnace every month. If your system has an electronic air cleaner or media filters, consult the manufacturers’ recommendations on replacement. Some air cleaners have washable filters, and others require changing only once or twice a year. If you are unsure about what type of filtering system your comfort system has, just ask your service technician or call or click here.